one for the Juniors (Age 2-4), the Intermediates (Age 5-8), and the Seniors (Age 9-12). and a caring community to flourish in. Come join us and find out more today! 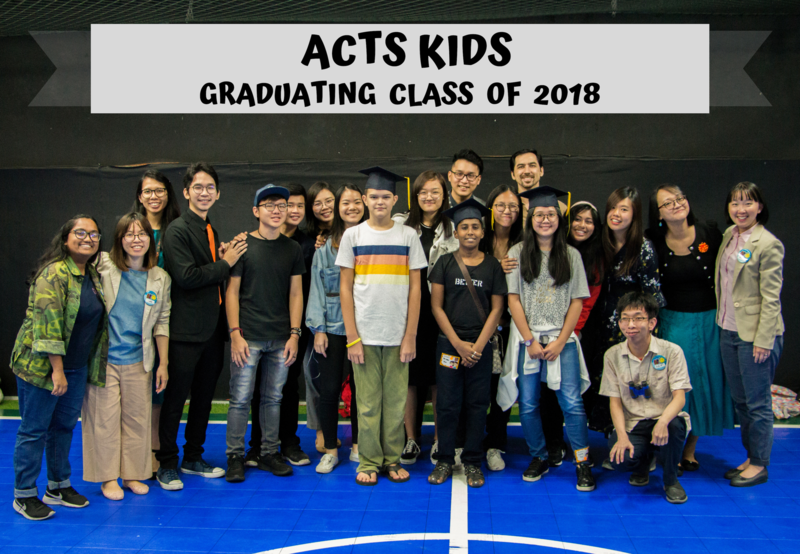 Congratulations Acts Kids graduating class of 2018! as you embark on a new journey in Acts Teens. We will miss all of you. Take care and God Bless! Interested in joining Acts Kids? We hold Acts Kids sessions every Sunday for our services below. Simply tell an Acts Kids teacher and they will guide you on what you’ll have to do!